Our youngest team has a great trip to Ardara last Saturday. The under 8s gave a super account of themselves, with a lot of great skill on show and some very polished football. Well done to all the lads, they have showed massive progress over the season. 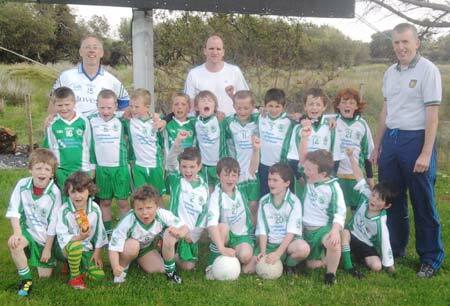 The under 8s have a game again this Friday when they travel to Mountcharles. The bus will be leaving the park at 5.45pm. This game will be the last action of the season for the under 8s. There may possibly be another game or two organised over the remainder of the summer, but the next offical action will be when training resumes indoors in the winter.